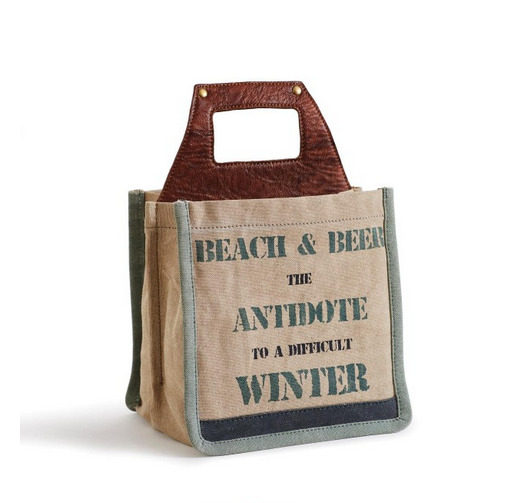 Safely and stylishly carry your favorite 6-pack in style to the next gathering, sporting event, or even give it as a gift! The Mona B up-cycled canvas beer caddy is gauranteed to be a favorite for all! Fits standard 12-oz. bottles or cans.